When it comes to the biggest and best games in the world of eSports, not many come close to the sheer excitement of Dota 2. The online battle arena game originally released by Valve in 2013 has become the most lucrative competitive gaming title in the world, with teams from across the world often doing battle for a share of major multi-million dollar prize pools. The thrill and spills of this title can be seen at major tournaments such as the Kive Major. It’s time to take a closer look at this exciting event and share Master Mazuma’s tips and tricks for those considering getting involved in Kiev Major betting. Valve launched the Dota Major Championships in 2015, as part of plans to introduce a circuit where tournaments based on the much-loved game could be held across the year. 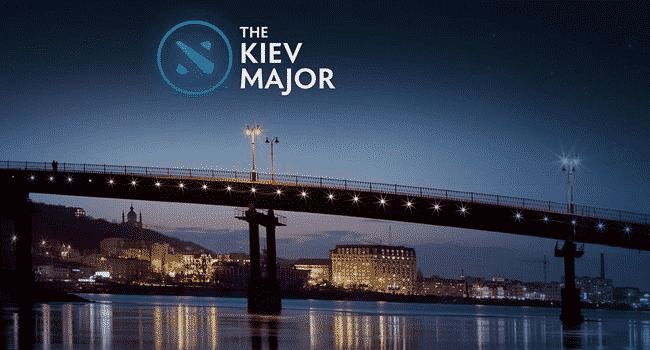 The Kiev Major was first held at the Ukrainian city’s National Palace of Arts in 2017 as part of this new structure, with 16 teams coming together to compete for a share of the massive $3 million prize pool. The tournament was one of three held as part of the 2016/17 Dota Major Championships, alongside The Boston Major and the season’s traditional showpiece event The International. In order to get involved in Kiev Major betting, one of the first issues you will need to consider is how the tournament tends to work. Such basic information is of course a vital starting point as you get to grips with how and when to place money on matches. Let’s take a look at the 2017 event. The tournament featured eight top Dota 2 teams who were directly invited to be involved and eight more sides who earned their spots by emerging victorious in qualifiers held across the world. The qualifying rounds began with an open round, with the top competitors then joining regional qualifiers. The structure of the main event itself was fairly straightforward, using a knockout structure consisting of a first round, quarter-finals, semi-finals and then a final. All rounds were best-of-three, except for the final which had a best-of-five format. The prize pool stood at an impressive $3 million with a cool $1 million going to the team that finished first. The rest of the prize money was the shared among sides depending on their final placing, with second getting $500,000, third and fourth receiving $250,000, fifth to eighth gaining $125,000 and the rest of the sides getting $62,500 each. So now you know the structure of the tournament, but what are the key issues that you should consider when looking to get involved in Kiev Major betting? Well, an important starting point is definitely to familiarize yourself with the top teams who are likely to compete in a future competition and also the best sides in the world of Dota 2 in general. 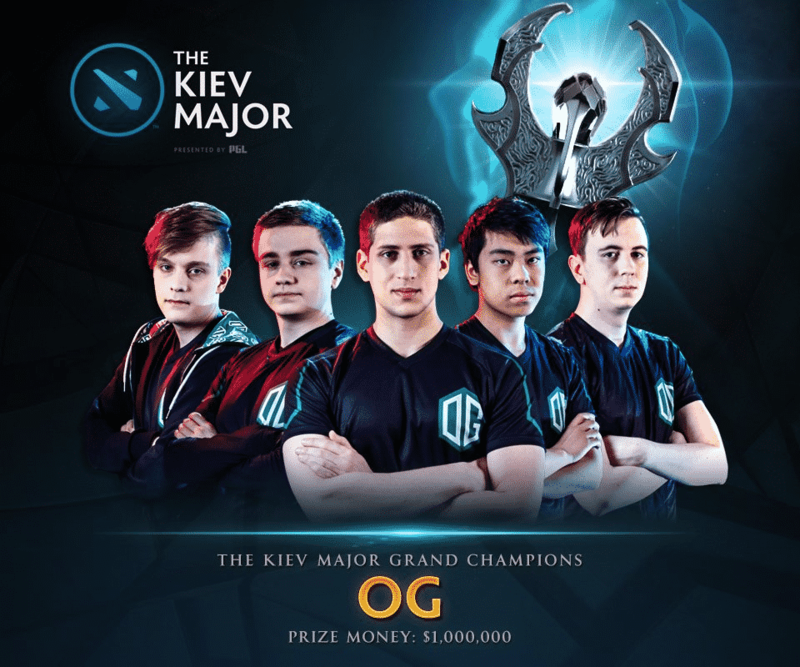 The lineup of the Kiev Major in 2017 was essentially a who’s who of top Dota talent, with the directly invited sides including Chinese team Newbee, European side Team Liquid and the US-based Evil Geniuses. The latter are thought to be the highest earning Dota 2 side ever and have earned more than $14 million in prize money across the tournaments they have competed in. Despite their long history of success in Dota 2, Evil Geniuses actually had to settle for finishing as a semi-finalist in the Kiev Major 2017. They lost out to eventual winners Team OG, with the European side beating qualifier Virtus.pro in the final to claim their fourth Major Championships win. The victory actually cemented OG’s place as one of the top five highest earning teams in the Dota 2 eSports world. While you should definitely keep your sights on all of the teams mentioned above, it is important to not rest on your laurels when it comes to Kiev Major betting. As the success of Virtus.pro showed, the qualification format means there is always scope for sides to emerge who could have what it takes to beat the big boys. With this in mind, do not just assume the major teams will be successful. Keep an eye on the dark horses who would cause an upset or two. You can do this in a number of ways, but our experts at Master Mazuma suggest watching as much coverage of Dota 2 competitions as possible in the run-up to the Kiev Major. This will allow you to assess the form of teams and also consider their strengths and weaknesses in comparison to other sides. This should at least set you on the way to making informed decisions when planning out your Kiev Major betting strategy. In addition, do not just think that a team which was successful one year will continue to do well in subsequent seasons. As in any other sport, roster changes are common in eSports. Be mindful of where players are moving to and what their loss may mean for their former team. Finally keep tabs on the latest team news, including how relationships within the camp are. In this high-octane world where so much is at stake, conflict is not unlikely to emerge between teammates, so watch out for reports or rumors of infighting. This is the sort of thing that could make all the difference in the world: Will the side be in the right frame of mind to be a success at an upcoming tournament despite arguments? At Master Mazuma we are huge fans of the Dota 2 Major Championships and all of the thrills and excitement that happen throughout the season. The Kiev Major was a key part of that in 2017 and we are sure the tournament will be back in the coming years too, so the time to start preparing for the future is now. Head across to our specialist pages of Dota 2 betting to learn more about the upcoming events taking place and the key odds that you need to know in relation to each of them. If you’re new, our bet 5 get 10 offer will set you off to a good start.